We are extremely grateful for the sponsorship received from Stig Grainger (Stone and Ceramic Warehouse) and Suzy Trott (Nassau Paradise Island Promotion Board) for the Colts section in the past. 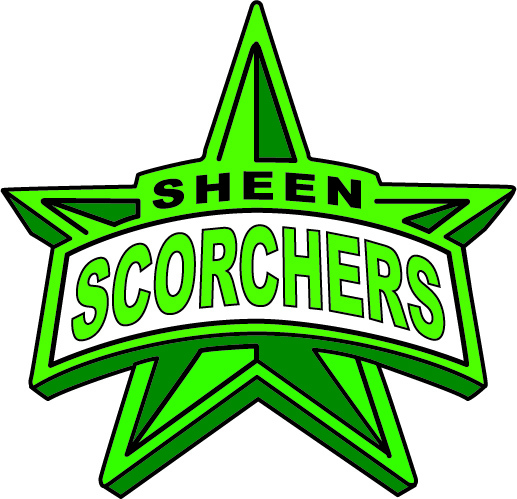 They made it possible for us to produce 'Sheen Scorchers' kit for both the U13's and U12's, evidenced throughout this website. We don't think it is a coincidence that we have won two County League titles having played in this eye-catching clothing, which was sourced and supplied by Tariq Nazir. Former player and talented creative Matt Lawrence provided the design for the kit. WE ARE ALWAYS ON THE LOOK -OUT FOR SPONSORSHIP SO PLEASE GET IN TOUCH IF YOU WANT TO SUPPORT THE CLUB.